Whether its organizing an event, studying for an exam, or even answering her emails, civil engineering senior Carley Fulcher organizes her life to the minute. She has to, in order fit in all her studying and activities. To start off, she is pursuing a leadership minor in addition to her civil engineering degree. She is on cheer team and takes an active involvement in Emerging Leaders in Engineering (ELE) and other engineering student organizations. It’s all prep for the future. “When you go to those career fairs and have interviews to get those jobs, they’re going to ask you about extra-curriculars, about your experiences, what you’ve done here,” she says. Fulcher originally became interested in civil engineering in high school. An Iowa native, she always loved Iowa State. Fulcher (far left) volunteers and mentors students at FIRST Lego League. Photo courtesy Fulcher. Even before graduation, her experience and time management skills have earned her several great opportunities. She interned at Civil Design Advantage for two summers in a row. This summer, she’ll be working at Bluestone Engineering. Her position is specifically geared toward structural engineering, Fulcher’s primary focus area within civil engineering. After graduation, she hopes to be accepted to the MBA program on campus as well. 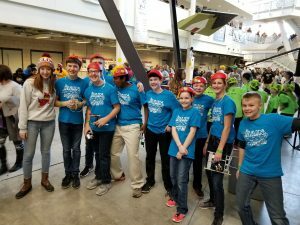 She encourages young engineers like herself to focus on grades, but also focus on soft skills for a well-rounded résumé. 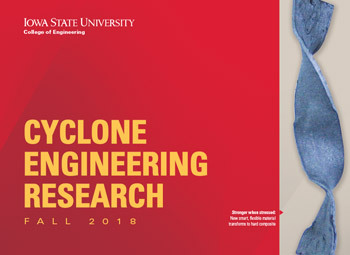 Note: In March-May 2018, Iowa State University College of Engineering Communications is setting out to find the top reasons why undergraduate and graduate students choose to pursue their education at ISU CCEE. 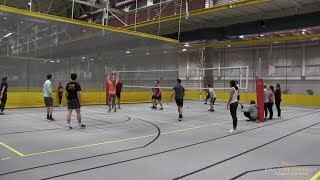 “Engineer at ISU CCEE” is a video/written series featuring students from ISU CCEE’s two majors, civil and construction engineering. 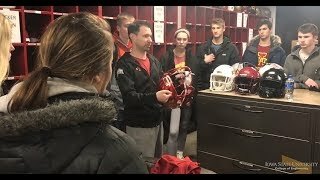 Each student shares his or her unique reasons for choosing Iowa State. Discover more about the student experience at ISU CCEE by following us on Facebook, Twitter, and LinkedIn (search Iowa State University Civil, Construction and Environmental Engineering and ISUConE).